Dahlias can be planted in sunny locations on any kind of soil. They are best known for their profuse flowering from summer to frost as well as their lush foliage. 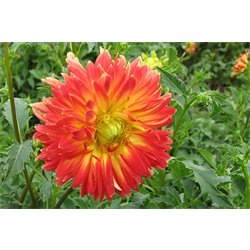 Pricing is per package and per variety for dahlia bulbs (quantity discounts apply).